Nursery "Shabby Chic" par Rosaline_10. Avec berceau, table à langer, coffre à jouets, tableaux, et tapis. 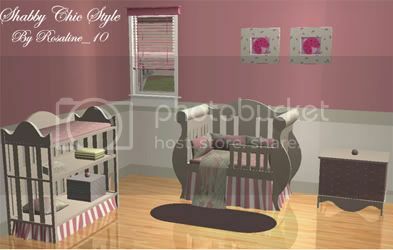 "Shabby Chic" nursery by Rosaline_10. With crib, changing table, toybox, paintings, and rug. Petite plante sauvage (disponible en sept coloris) par Cat3cm. 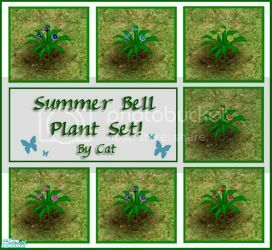 Little wild plant (available in seven colors) by Cat3cm.